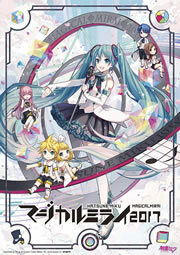 In a surprising news reveal, Nicovideo and Live Viewing Japan have announced a team effort to broadcast the Magical Mirai concert event online, and world-wide at select theaters. The live stream for the concert is set to start at 7:00PM JST on August 30th. Starting with Nicovideo, viewers have two options. If you are already subscribed to a premium account with Nicovideo, you can simply enjoy the show at the Premium Members stream link. Alternatively, non-premium members can purchase a ticket for 1500 nico points (1500 Yen, or $15 USD). Ticket-buyers can enjoy the show at their own stream link. For viewers who’d like to enjoy the event in theaters, Live Viewing Japan will be updating this page with specific dates, times and venues for participating theaters world-wide. To keep up with updates quicker, you can also follow Live Viewing Japan on their Facebook page. Ticketing links and locations will be updated soon.